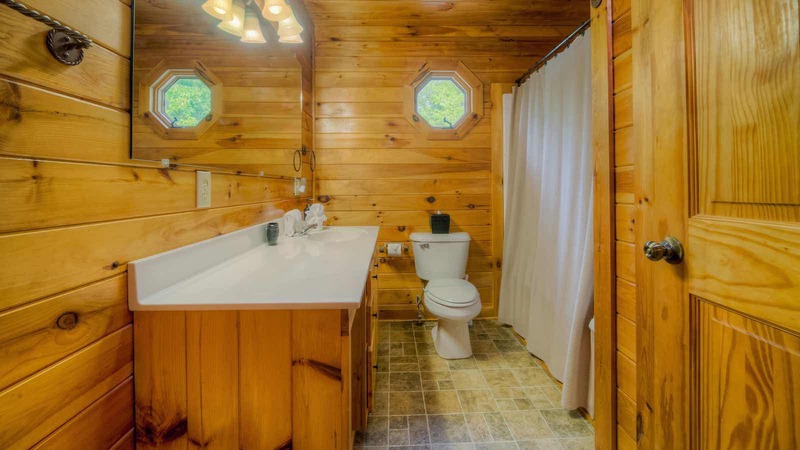 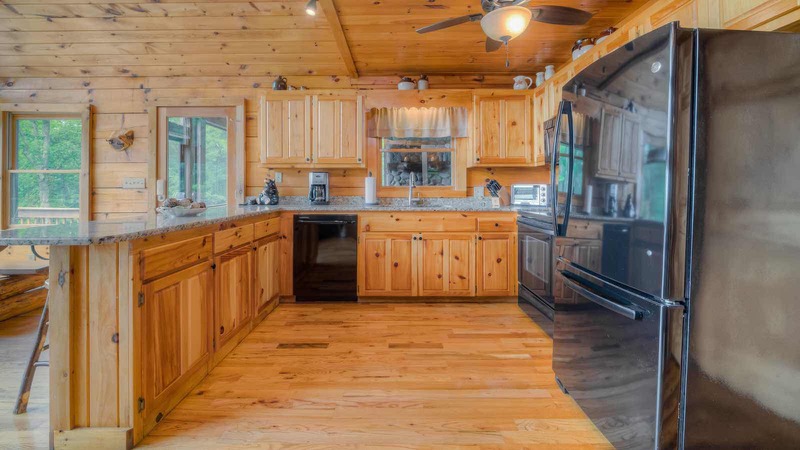 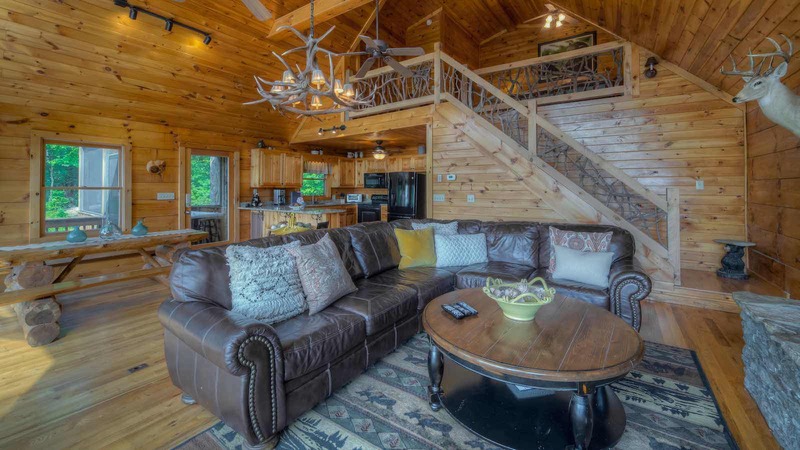 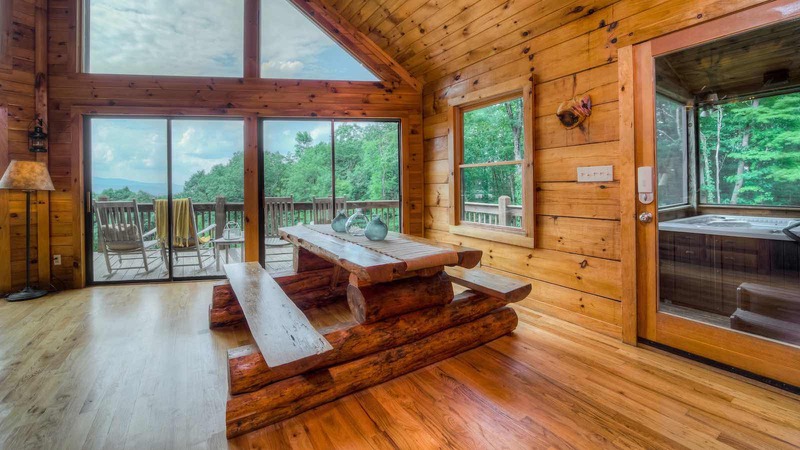 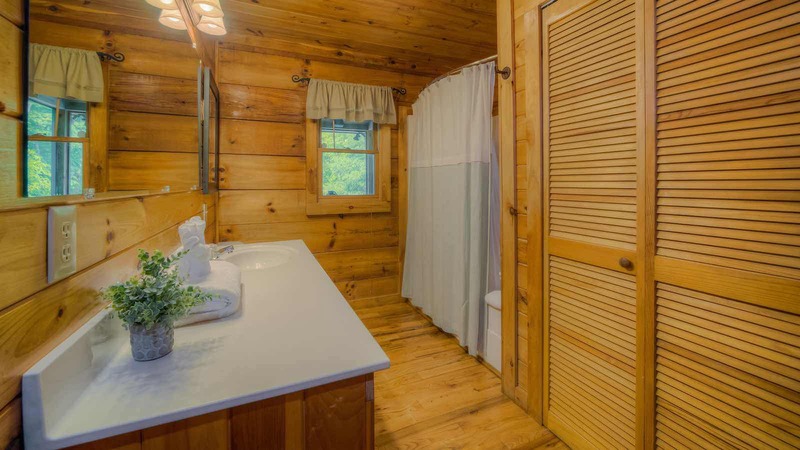 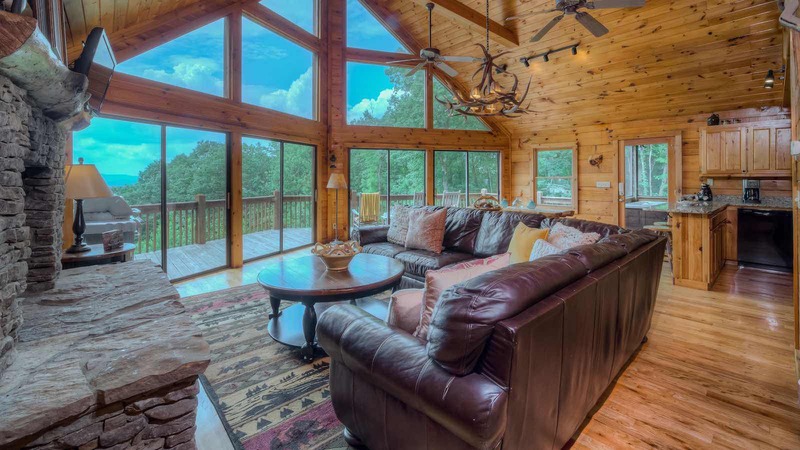 Blue Mountain vistas are what you will see from this gorgeous prow front cabin called Blue Vista. 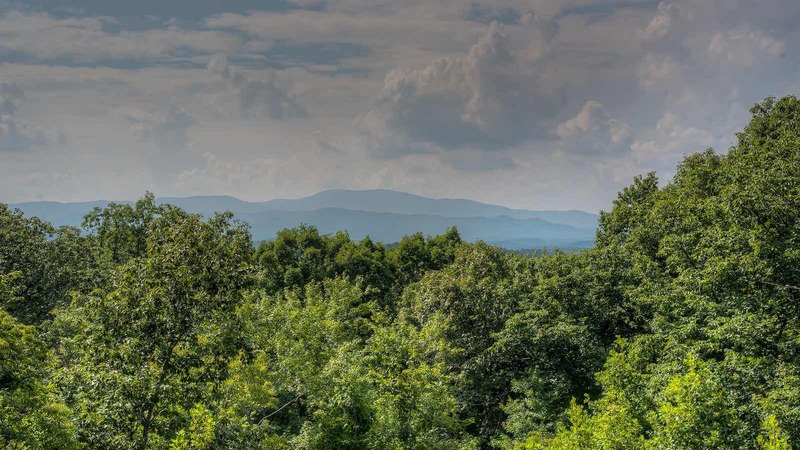 The layers of mountains seem to go on forever! 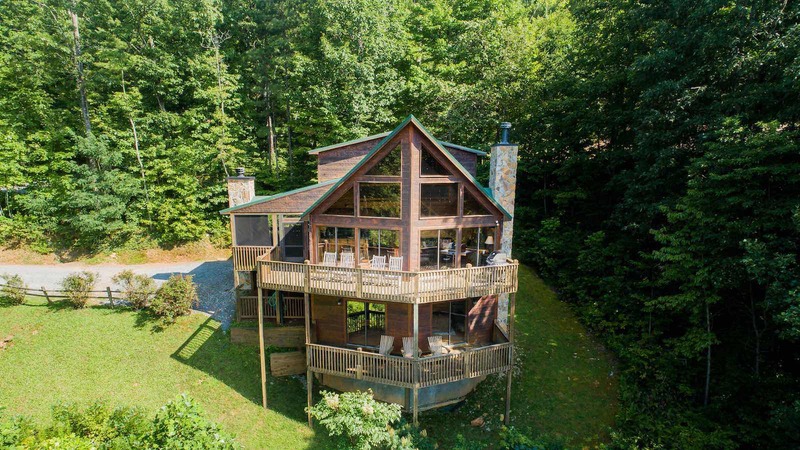 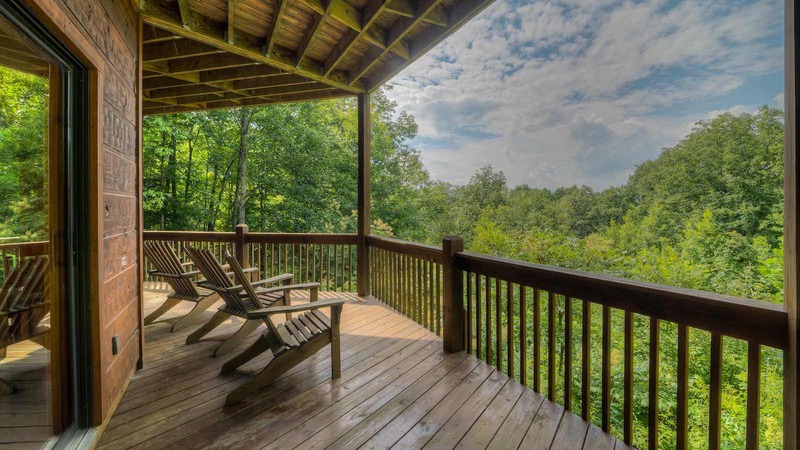 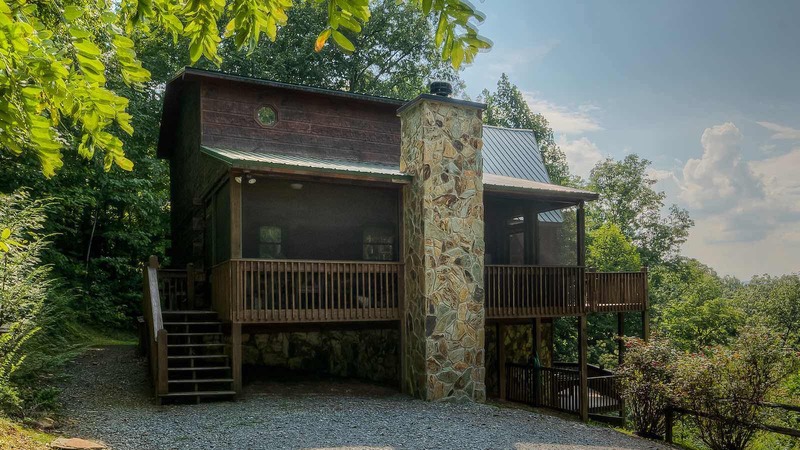 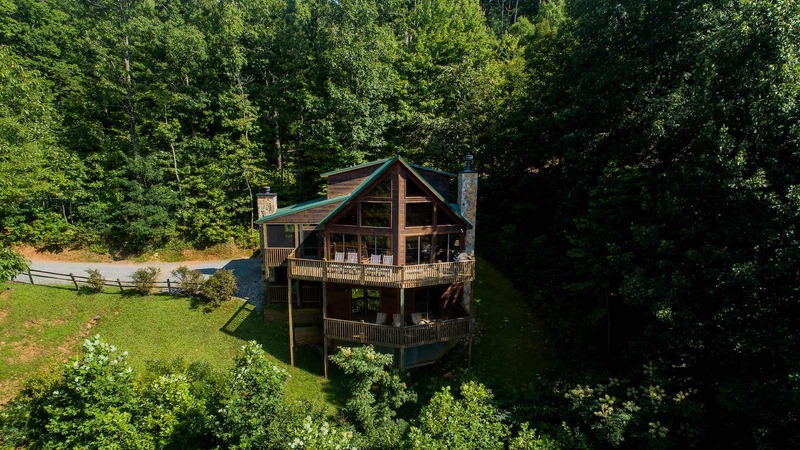 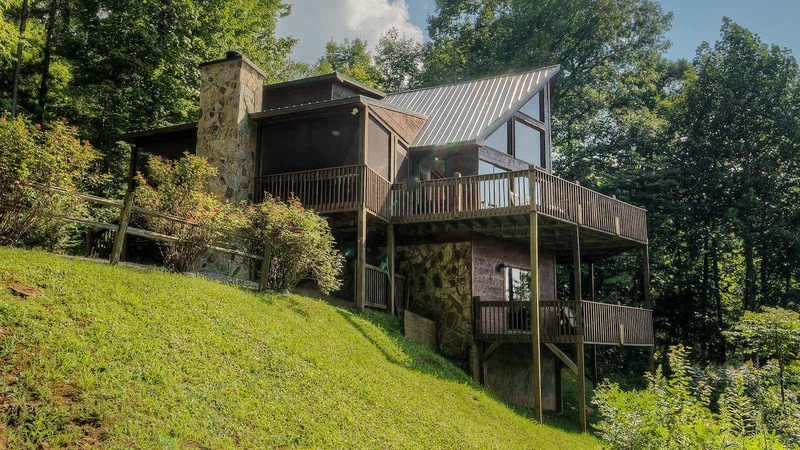 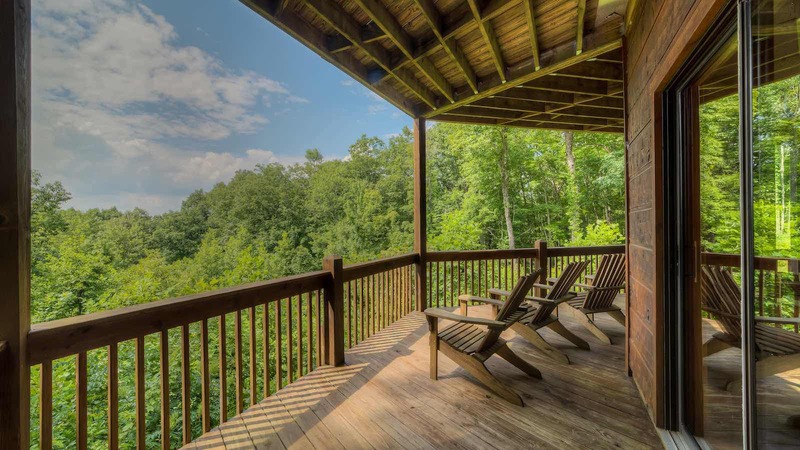 Blue Vista is located just about 5 miles from downtown Blue Ridge on a semi-private lot in a cabin community. 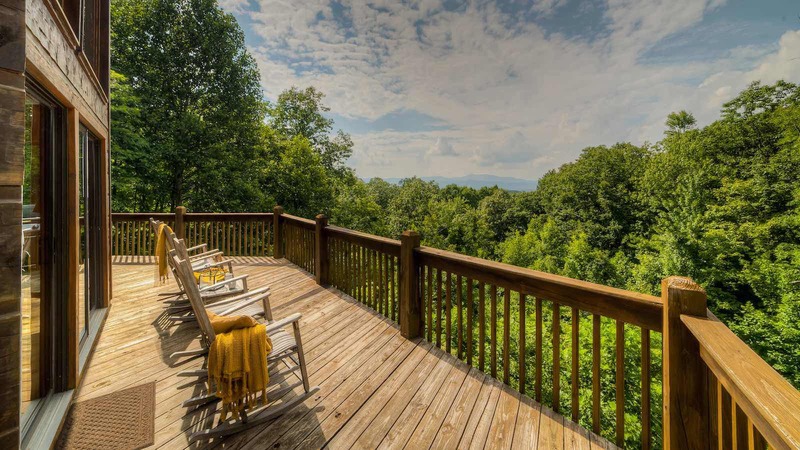 The view faces NW and you can see two states and beautiful sunsets! 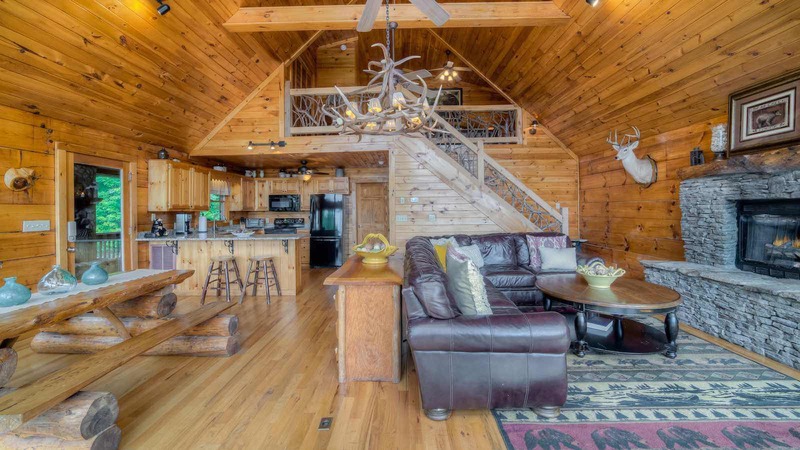 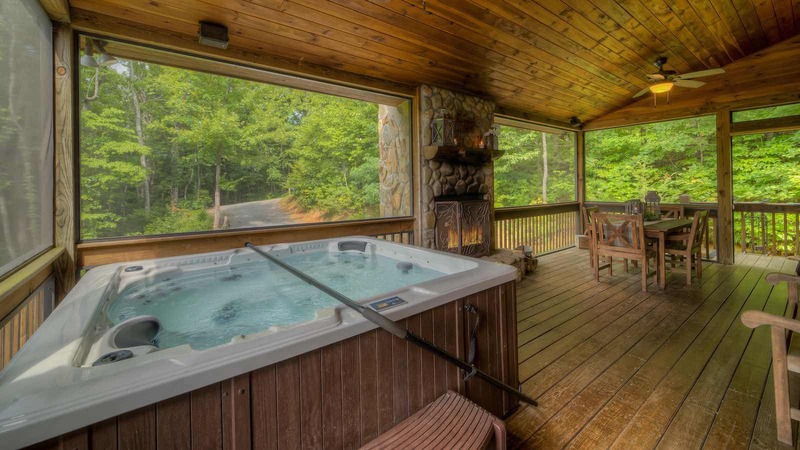 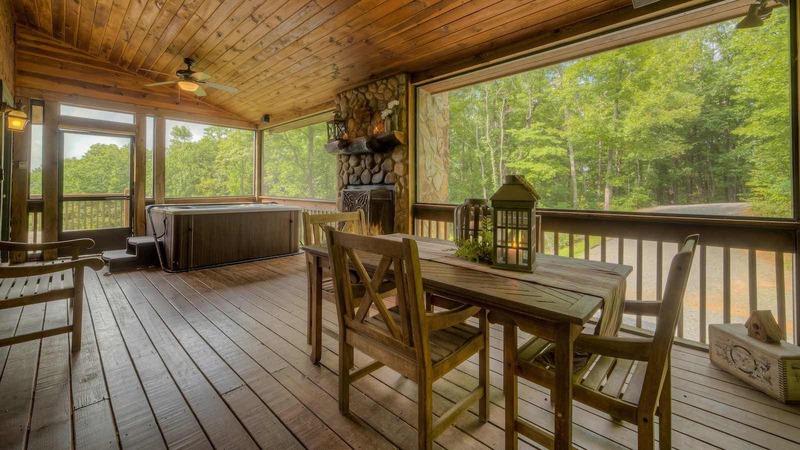 The main level has a welcoming private, screened porch with a cozy outdoor wood burning stone fireplace, hot tub and outdoor dining area. 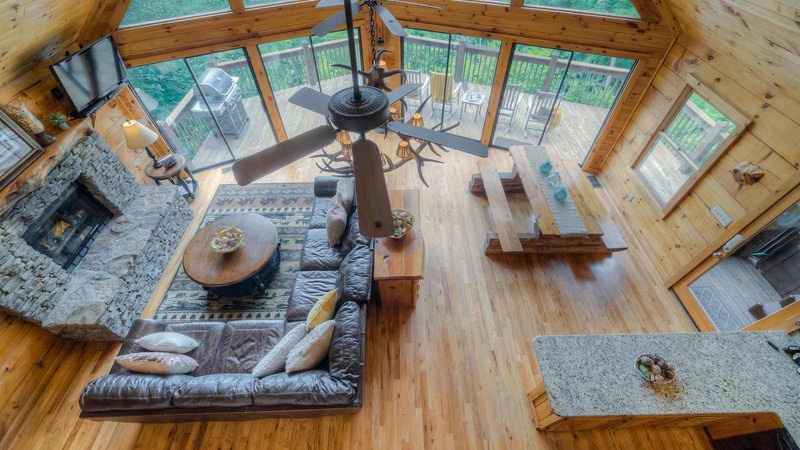 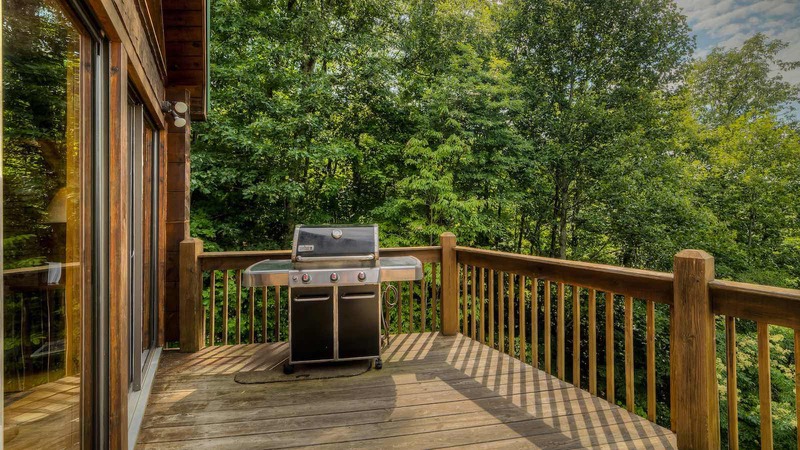 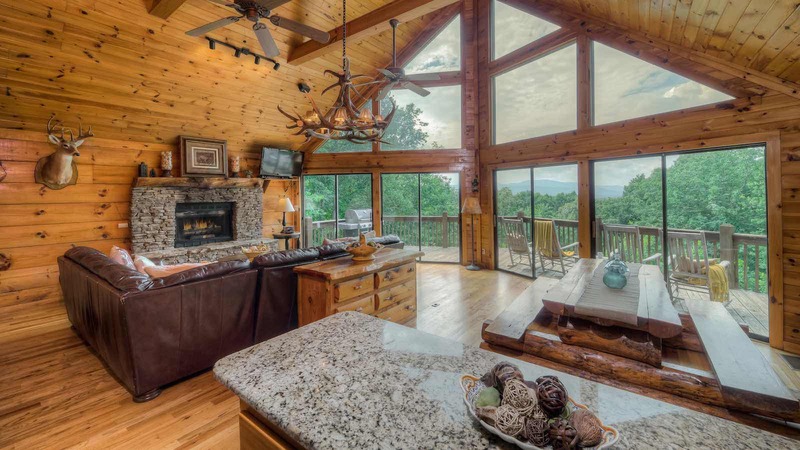 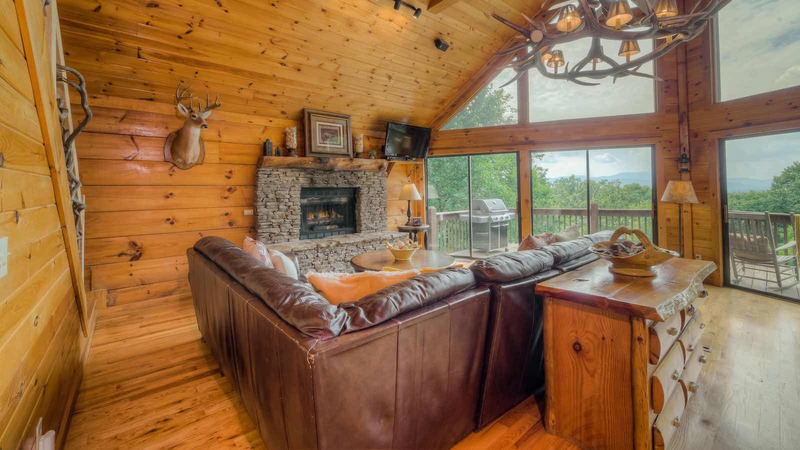 The open deck has a gas grill and open space for enjoying the mountain views. 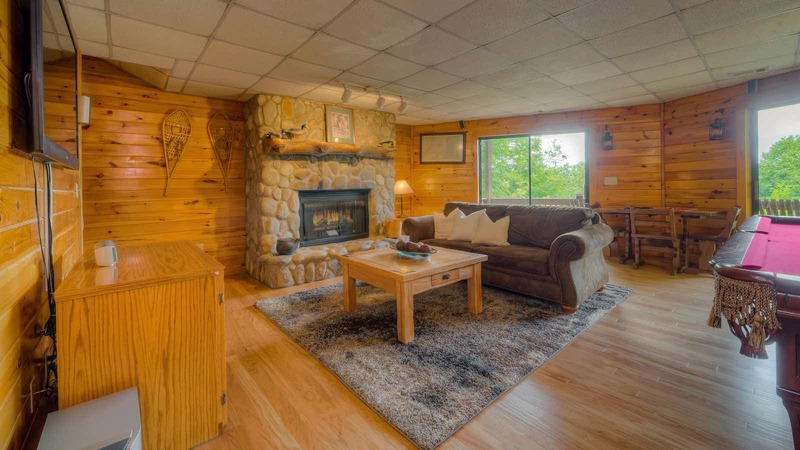 Just inside the main level you will find a gorgeous great room with a wall of glass and in the living area, a comfy sectional sofa, large flat panel TV with satellite and stone gas log fireplace. 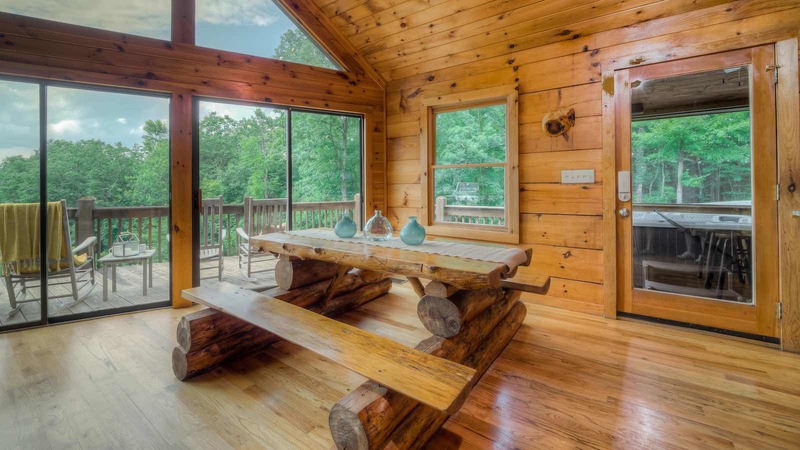 The dining area features a custom built log pic-nic style dining table that seats six comfortably. 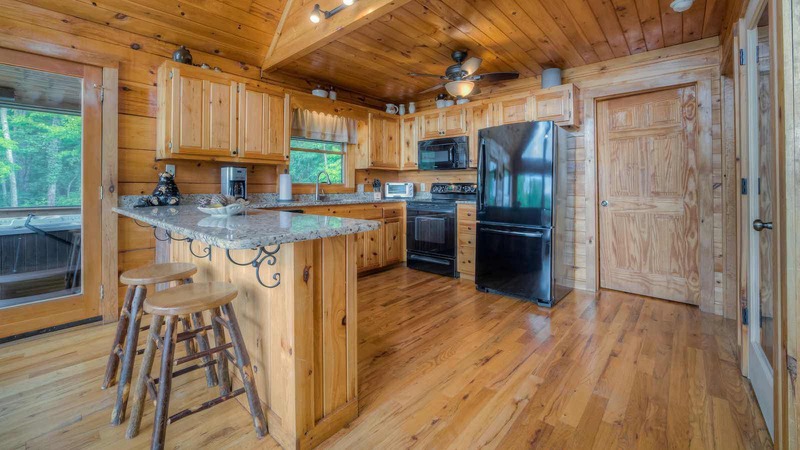 The kitchen is open into the living and dining area and is fully equipped. 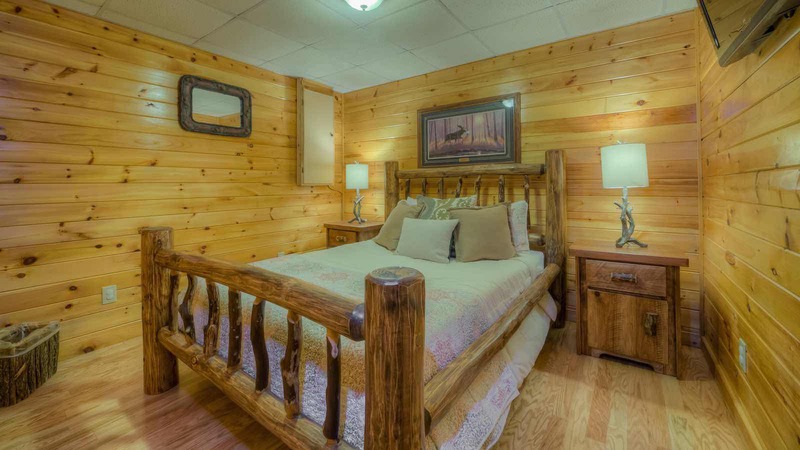 You will find one bedroom on this level with a queen bed and upgraded bedding, flat panel TV and full bath. 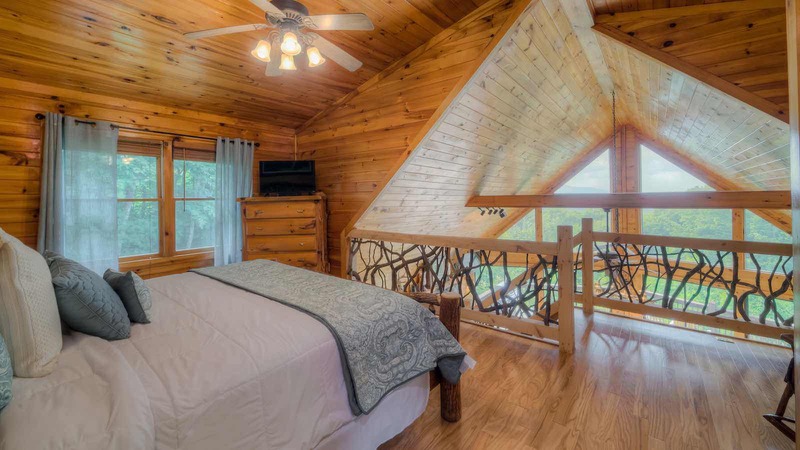 The upper level is master bedroom in an open loft with a king bed, large flat panel TV, full private bath and large walk-in closet. 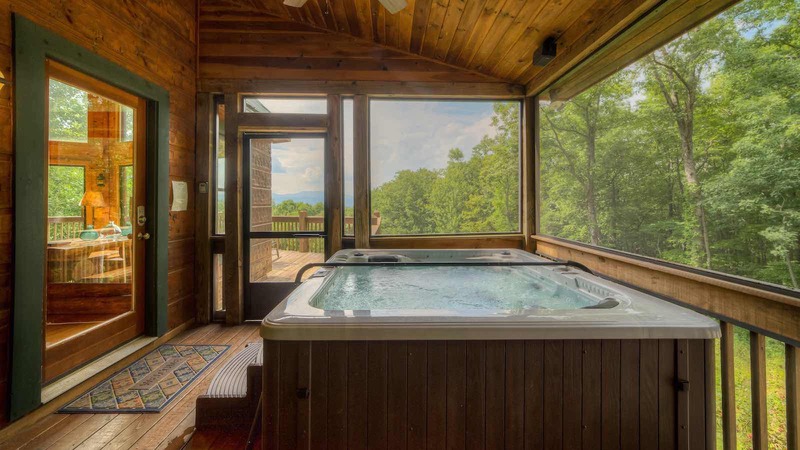 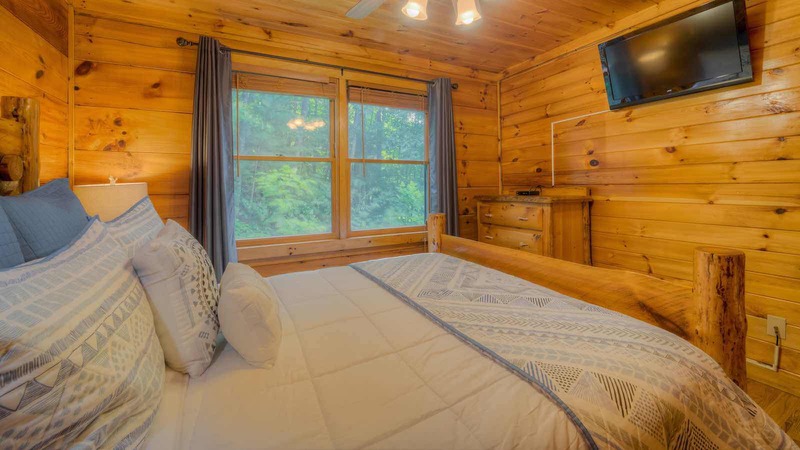 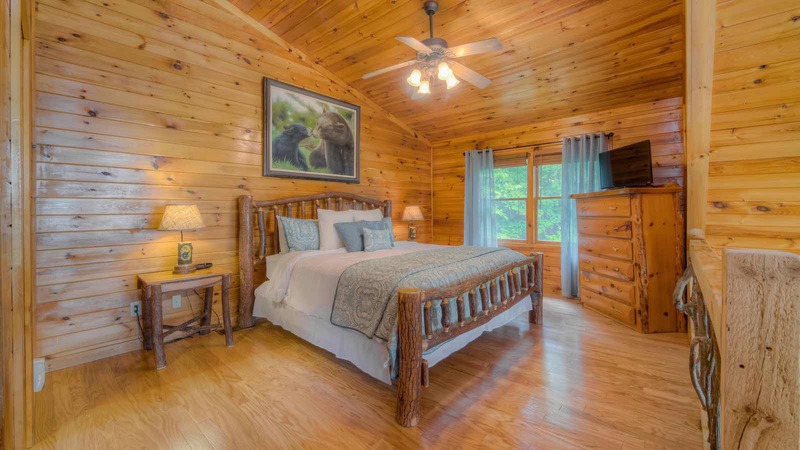 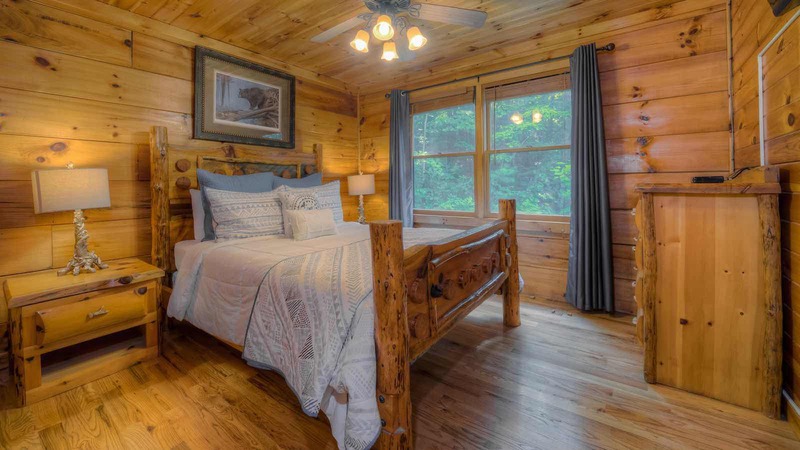 The bedroom is open so that you can take in the views of the mountains from the upper level! 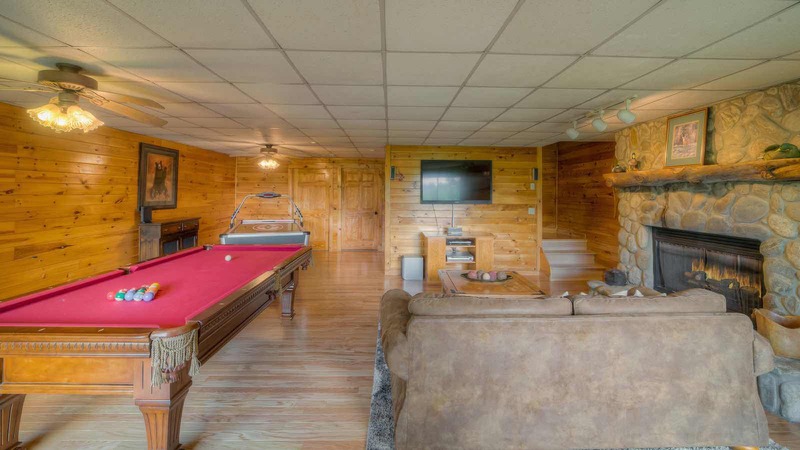 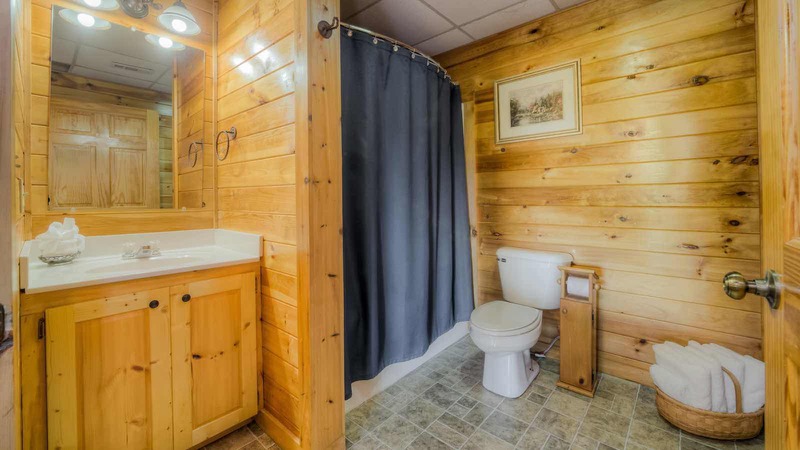 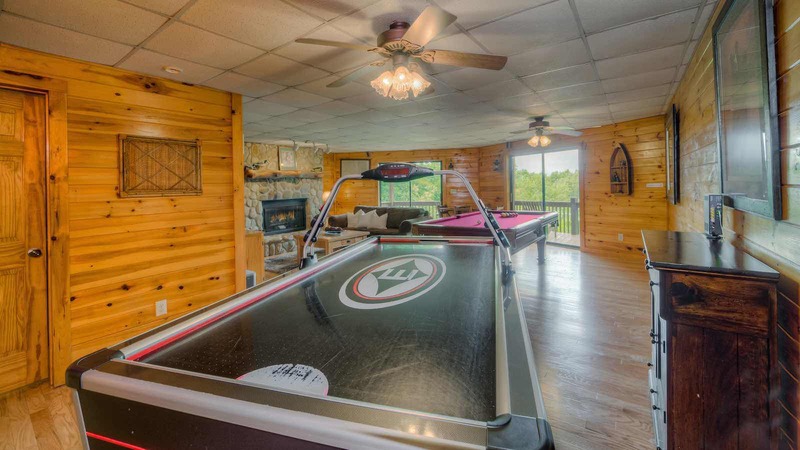 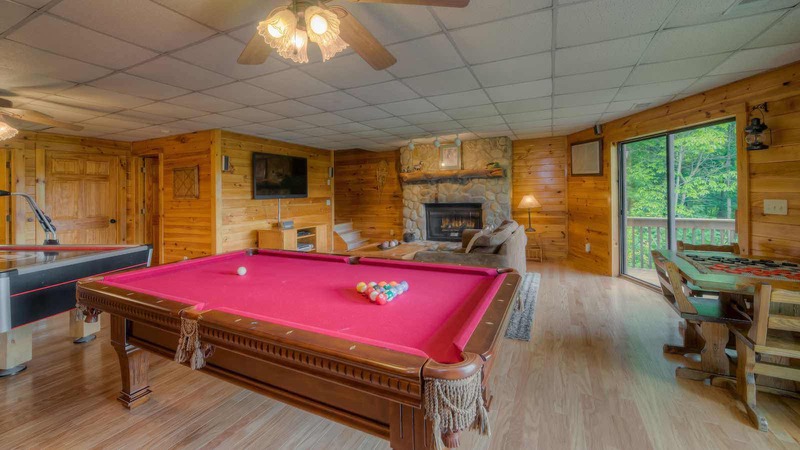 The full finished basement/lower level has a family/game room with a huge flat panel TV with satellite and DVD player, stone gas log fireplace, checker table, board games, full size air hockey table, pool table and more! 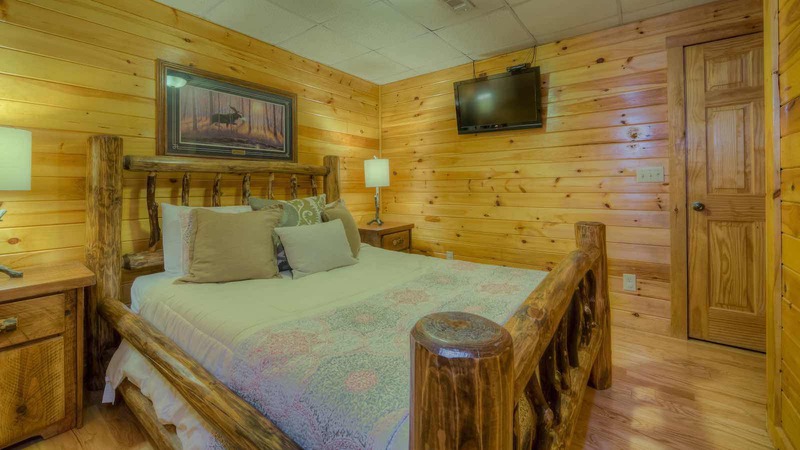 The 3rd bedroom is located on this level with a queen bed, flat panel TV with satellite and full bath. 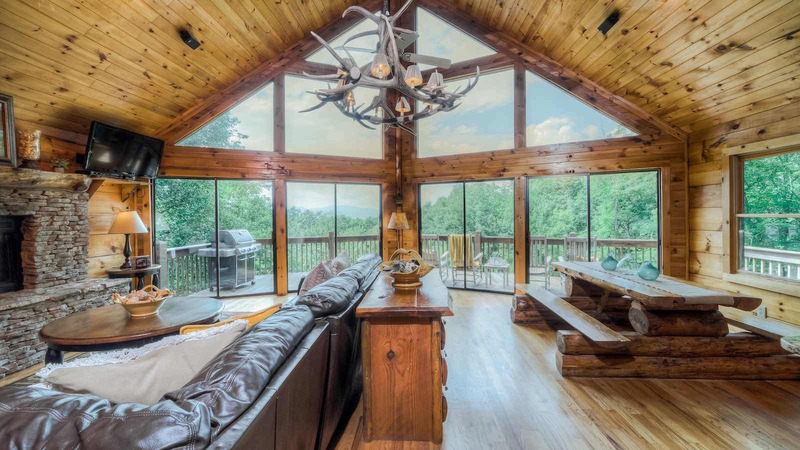 Blue Vista is the ideal prow front cabin that everybody is looking for in the mountains! 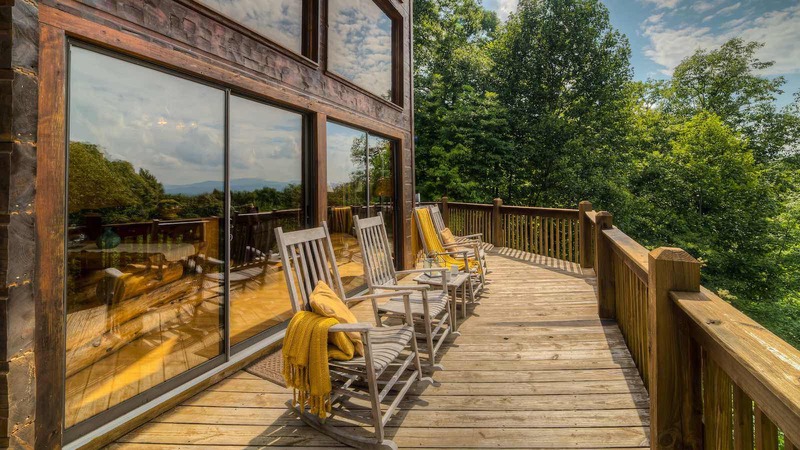 It is what you think of when you think of a mountain getaway, with those perfect glass windows for viewing the mountains. 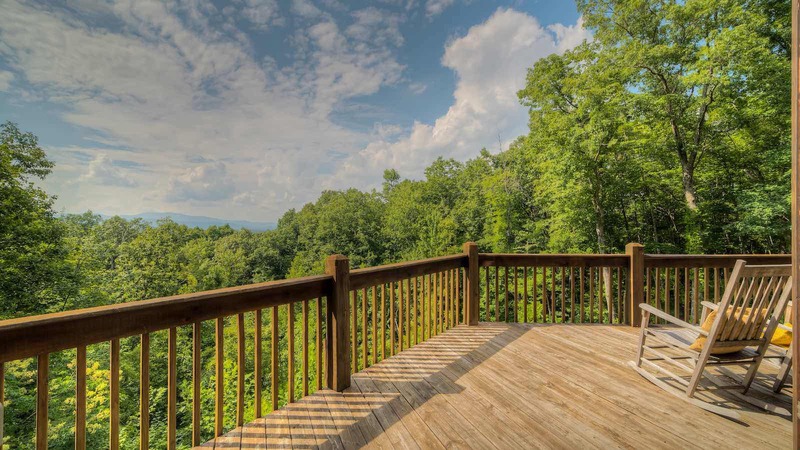 Come see what all the fuss is about - Reserve Blue Vista today!